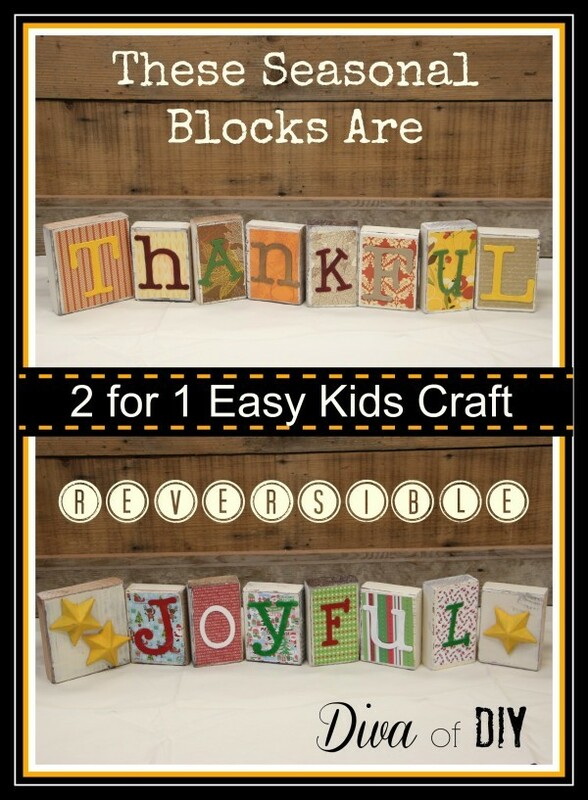 I am always looking for an easy craft for the kids during the holidays. 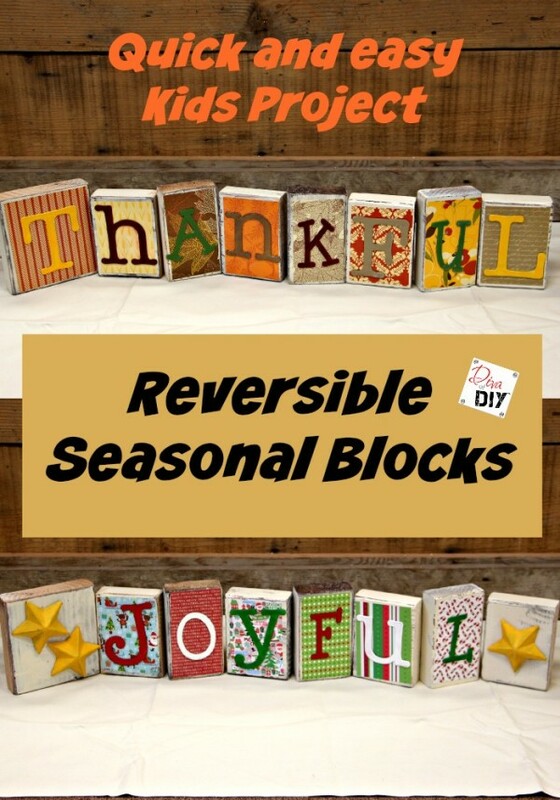 These reversible seasonal blocks fit the bill for sure. 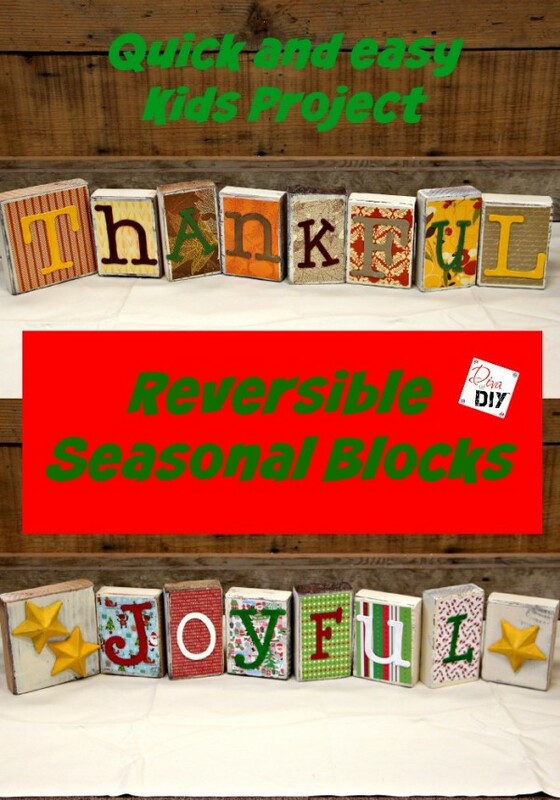 We made this craft for Thanksgiving and Christmas but they are so easy you could make them for any time of the year. 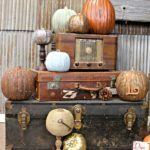 They are the perfect seasonal decorations! 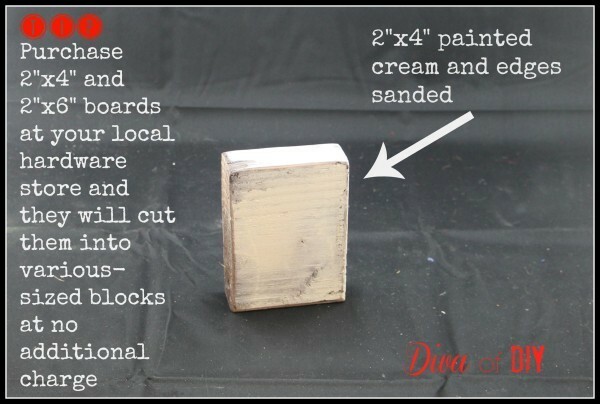 Once your boards are cut, brush on a coat of cream paint. 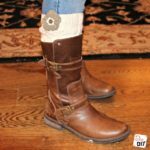 Let dry and then sand the edges for a worn look. 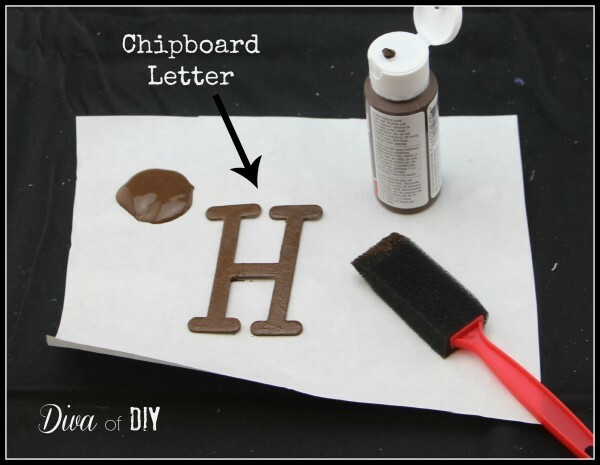 Begin by painting your chipboard letters in the desired colors. Let dry. 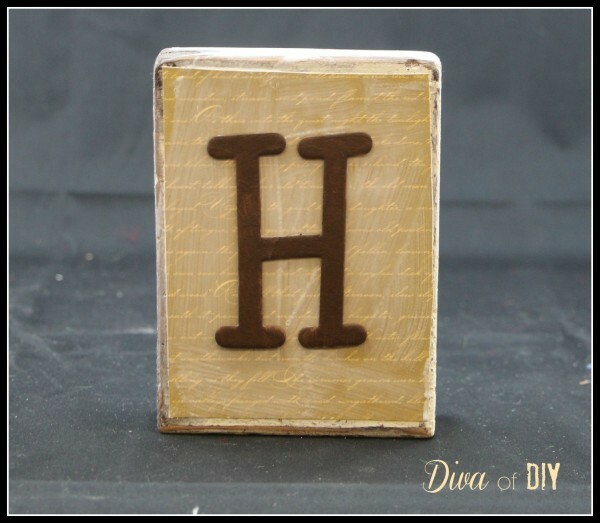 Because these blocks are reversible, make sure you paint the letters and shapes for both sides. 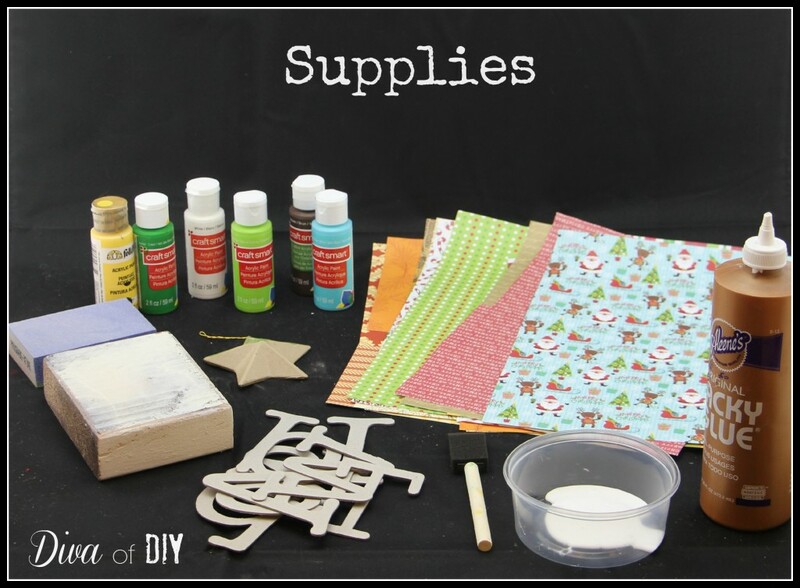 Mix up your decoupage medium by using 3 parts Aleene’s Original Tacky Glue and 1 part water. 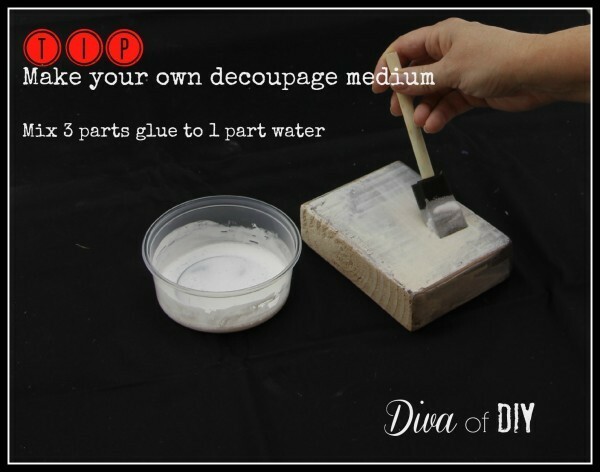 Brush the glue mixture on the wooden block. 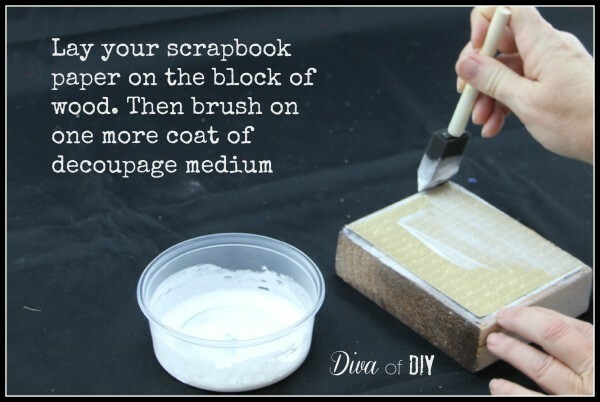 Next, take your scrapbook paper and apply a coat of your glue mixture to the backside before laying it on the board. This keeps your paper from wrinkling when it dries. 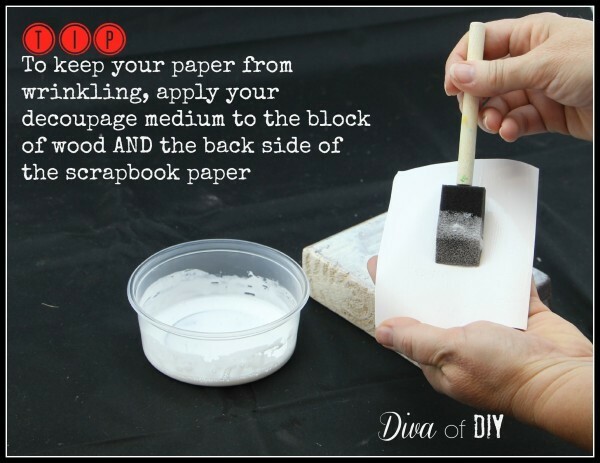 Lay the scrapbook paper glue side down on your block, making sure to smooth out the edges. Seal the paper with one more coat of glue mixture. 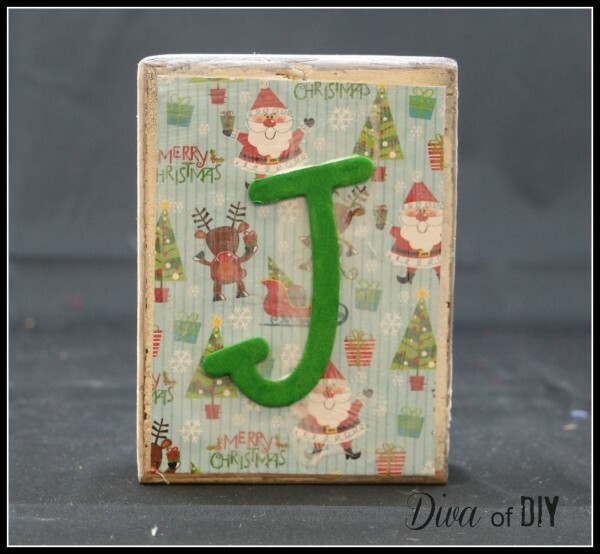 While the glue is still wet, lay your chipboard letter on the scrapbook paper. Repeat with all of the Fall letters. Let dry completely before working on the other side. 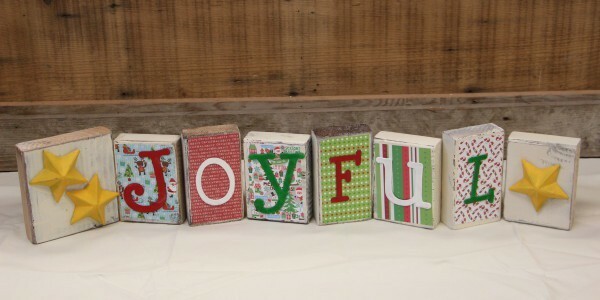 Once the Fall letters have dried, flip the blocks over and repeat the same process on the other side with the Christmas papers. That is it! This kids craft could not be any easier. 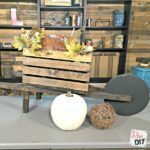 This was such a fun and easy kids craft that the entire family will enjoy. Just think of all of the possibilities!! !